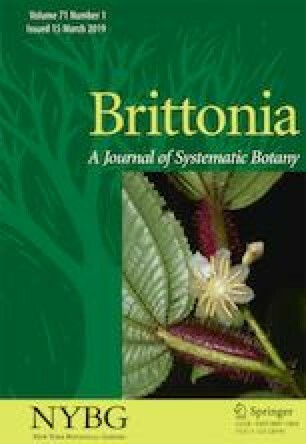 Tachigali amarumayu, a new species of caesalpinioid legume restricted to terra firme forests in southwestern Amazonia, is described, illustrated, and compared with the morphologically similar species T. prancei, T. rugosa, and T. setifera. Tachigali amarumayu, una nueva especie de leguminosa caesalpinioidea, restringida a los bosques de tierra firme del sudoeste de la Amazonía, es descrita, ilustrada y comparada a especies morfológicamente similares: T. prancei, T. rugosa y T. setifera. We thank the Zoological Society of Frankfurt for supporting exploration and research at the Pampas Heath, where fertile Tachigali amarumayu specimens were collected; Wilfredo Mendoza, Roger Phoco, Christian Quispe, Lourdes D. Villena, T. Zaida Aquino, and Pamela J. Carvajal for logistic support of work carried out in the Pampas del Heath. To SERNANP through of the Jefatura del Parque Nacional Bahuaja Sonene (David Aranibar, Fredy Quispe and parkguards).The following curators and associated herbarium researchers kindly permitted access to their collections: in Peru, Asunción Cano and Betty Millán (USM), Carlos Reynel (MOL), Fructuosa de la Torre and Nailud Ttito (CUZ), Juan Ruiz (AMAZ), Hugo Dueñas and Zofer Baez (HGE); in Bolivia, Luzmila Arroyo and Alejandro Araujo (USZ); in Brazil, Marcos Silveira, Wendeson Castro, Daniel da Silva Costa and Martin Acosta (LabEv collection of Universidade Federal do Acre), Narcísio Bígio and Francis M. Bonadeu (RON), Pedro Viana (MG), and Helena Joseane (IAN). The first author is grateful to the Concytec (Fondecyt-Cienciactiva) and the Rupert Barneby Award for scholarships that made it possible to study the Tachigali collection at NY; to Dr. Benjamin Torke for sharing his invaluable knowledge during discussions on Tachigali and the Leguminosae; to Dr. Douglas Daly for his help with the revision of this manuscript and during the first author’s stay at NYBG; and Dr. Olga Martha Montiel for her support and facilities provided during his visit at MO. D.C. also acknowledges the CNPq Research Productivity Fellowship (306736/2015-2), Prêmio CAPES de Teses (23038.009148/2013-19), and FAPESB (APP0037/2016) for financially supporting his research on legume systematics. Lima, H. C. 2015 onwards. Tachigali. In: Lista de espécies da flora do Brasil. Jardim Botânico do Rio de Janeiro. http://floradobrasil.jbrj.gov.br/jabot/floradobrasil/FB23195 (Accessed 15 March 2017).